For many years, United Laboratories has provided our customers with different forms of Earth Smart® certified, biological and enzymatic treatment options for their water treatment needs. We have products for use directly within the treatment plants and working up stream as well through the collection system and starting at the source with drain maintenance and grease trap maintenance programs. By working with communities to drive treatment upstream where issues begin to develop, the efficiency of the entire system is improved all the way through the treatment plant. United has led the way with biological block products that provide safe, effective, easy-to-use solutions for your water treatment needs. That being said, our philosophy of Responsible Innovation™ continues to drive our research and development team to provide new technologies to advance your treatment options. In 2011, we moved our block technology generations ahead with our patent pending Inter-Core Technology. The bacterial blocks in this line offer 10 billion CFU/g that is delivered in a one-two-punch approach: the inner-core releases quickly to jump start activity, while the outer core is designed for extended release for continued performance over 60 – 180 days, depending on flow. Whether you need to reduce FOG, BOD, COD, H2S, TSS or sludge, we have an Inter-Core product solution for you. 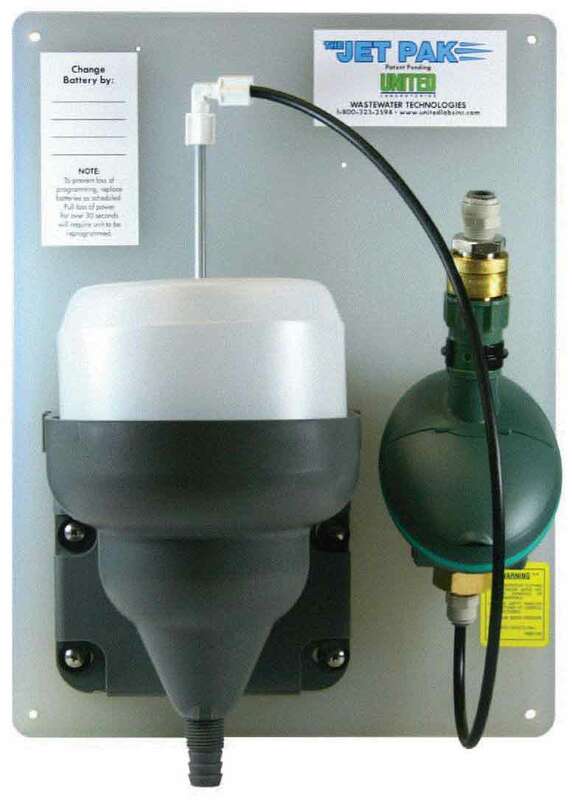 In 2013, we are proud to introduce a new patented delivery system – The Jet Pak Dispensing System. Products used with the Jet Pak also feature United’s patent pending Inter-Core Technology. Primarily used upstream with drains and grease traps, this system offers savings in time, money and labor, while helping meet compliance for discharge. It can also be fed directly into lift stations, lagoons and ponds to reduce FOG, BOD, COD, H2S and TSS with United 848 ENDEAVER for Sanitary Wastewater.